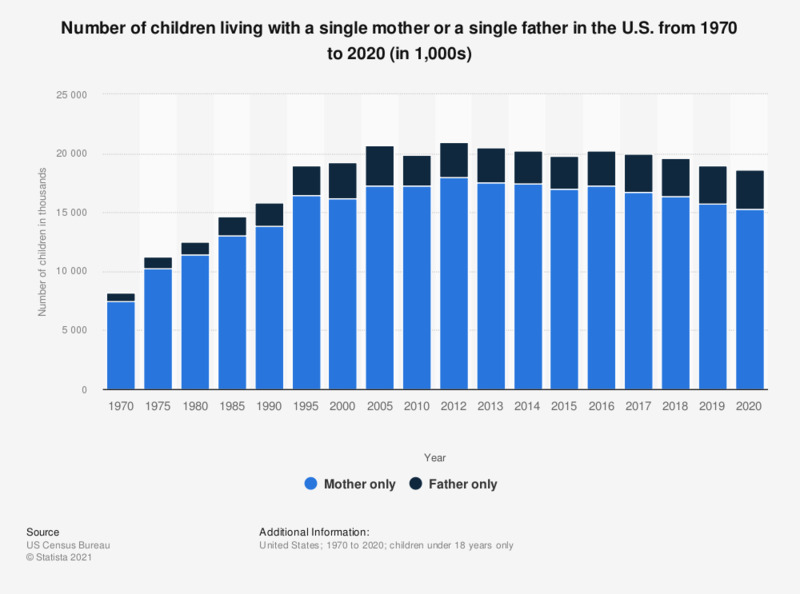 This statistic shows the number of children living with a single mother or single father from 1970 to 2018. In 2018, about 19.65 million children in the United States lived with one parent, approximately 16.4 million of them with their mother only. What is the most dangerous environment for your children?